If you would like to make sure that you appear as professional as possible, you have to focus on your online reputation as well as your image in the boardroom and at networking events. 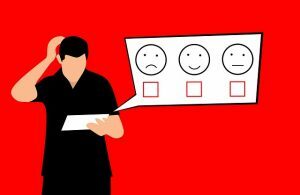 People today check your feedback and rating before they would decide to buy from you, so it is important that you keep an eye on the reviews, feedback, customer contact, and other elements of your brand. Below you can find a few tips on how to build your positive brand image online. There are plenty of online communities where you can start building your brand and your reputation. You will have to be positive and helpful and provide value to people constantly, so they will consider you to be an expert and the person who can give them advice on the topic they are interested in. While your blog is a great tool to add people to your sales funnel, there is no better way than engaging with people on a personal level. With today’s technology, it should not be hard to create branding videos and publish them online. No matter if you put it on your website’s front page or share it on video sites, you will be able to get the attention of people. The key to branding online is that you will have to find your unique selling proposition, your brand identity and persona, and create consistent messages across every channel of communication. If you can capture your brand value in a video, you can get your message across much faster than by using blogs. If you don’t want nasty surprises, it is important to monitor your reputation on the internet. There are some great services that will help you keep an eye on what people say about you. As an example, you can sing up for Google Alerts and get an email every single time a review or a post is published that contains your industry or brand name. This way, if your competition is trying to damage your reputation you can act quickly. It is not enough to have Facebook profiles and other social media accounts for your brand. You will also have to actively seek interaction. Whenever your customers leave your store or your website, ask them to leave a review or send you a testimonial on the internet. You have to create a social proof, as this is what most people are going to check out before they make a final decision which company to go with. It might also be a good idea to ask some of your clients to leave you a feedback in a video format. They might shoot the content themselves or you can help them; at the end of the day, you will create an effective branding and marketing tool that will help you get more conversions and get people to trust you, even if you are running your business online. If you would like to explain how you are different from your competition and how you can help your customers, you have a couple of options. Create a long explainer video, and hope that people will have the patience to watch it. You might also create a case study or white paper, but your chances of getting it read are low. Infographics, however, allow your marketing to speak for you, entertain your audience, and present complex issues in a logical and easy to comprehend way. You might be good with people in person, but you will get even more connections if you engage in networking online. Check out Better Bistro Media for more resources. You will be able to form online relationships with other business owners, and those who can help you identify your strengths and weaknesses, as well as your unique selling propositions. Make sure that you are keeping your professional and your personal profile separate, and let your knowledge and expertise shine through. This way, you can make a positive impression on potential clients, business partners, and people who can help you grow your business. Managing your reputation online is getting more important every day. People no longer look at directories dropped off at their house. 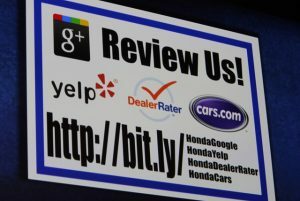 Instead, they ask for recommendations on social media and read reviews before they choose a company. This is why you will have to strengthen your brand every day on every channel and keep an eye on your reviews and ratings all the time.